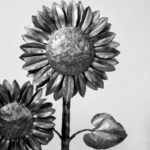 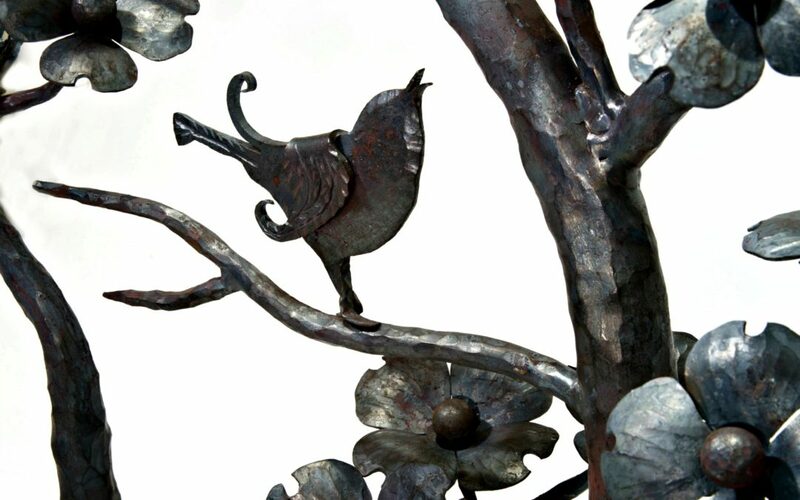 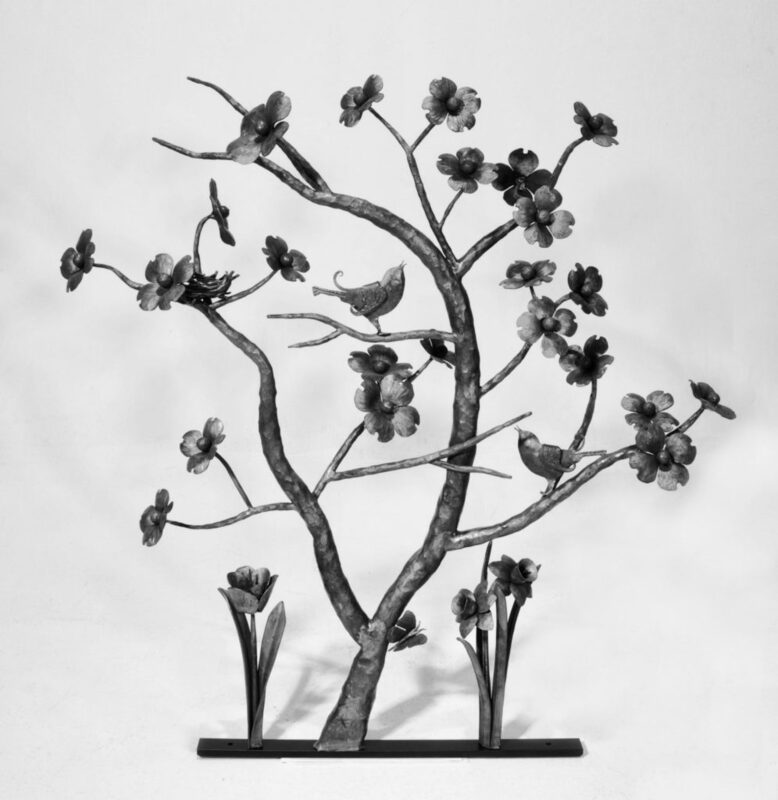 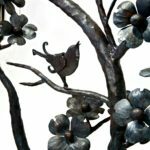 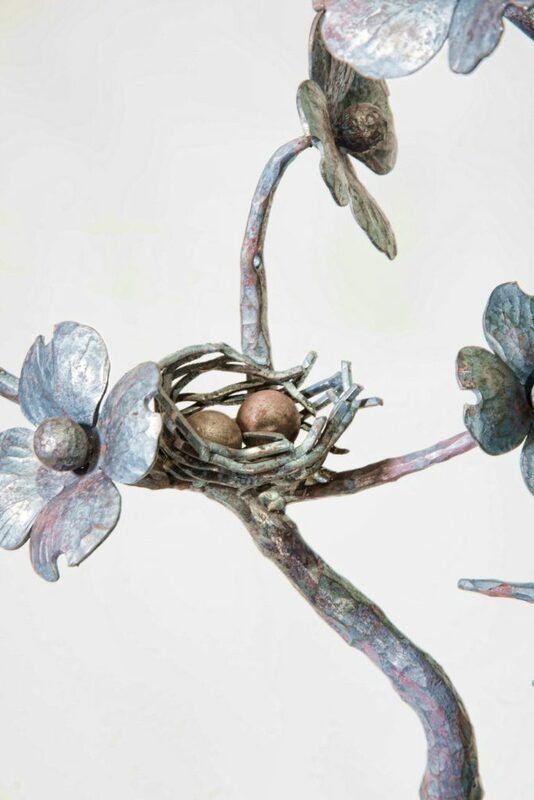 The wrought iron sculpture “Spring” is one of three panels that Antietam Iron Works was commissioned to create for a private home in Mercersburg, PA. 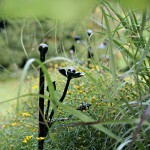 They were incorporated as part of a fence and gates along the properties border. 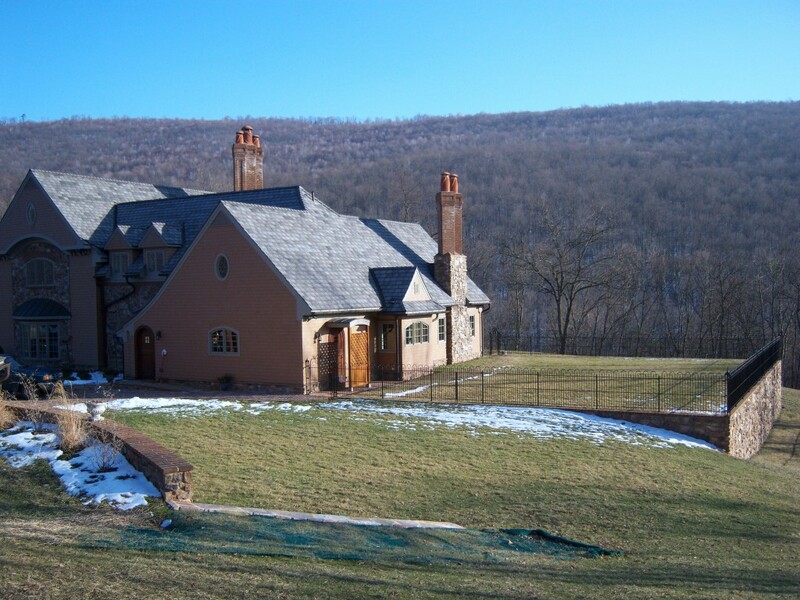 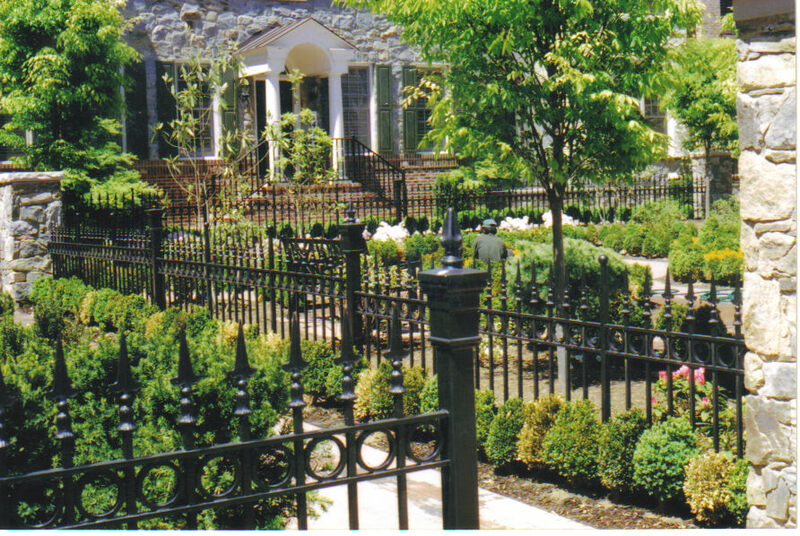 Antietam Iron Works has made pieces for this home in the past and we were delighted to work there again. 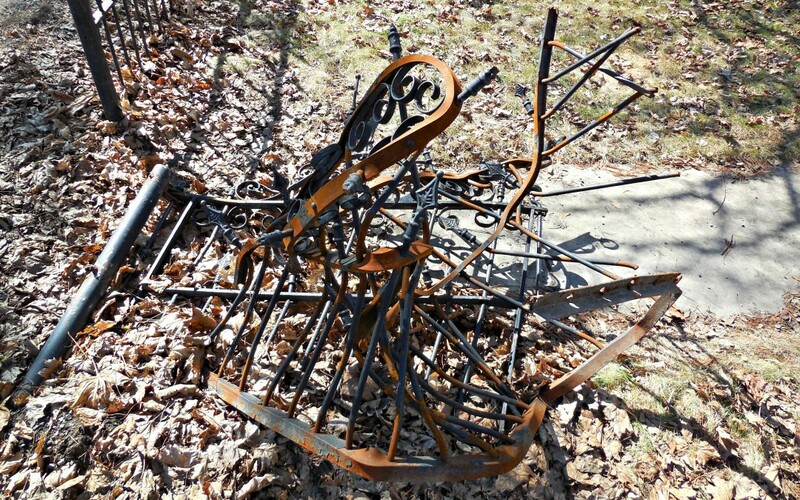 The homeowner allowed blacksmith James Gunnell to have freedom of creative vision to create these pieces. 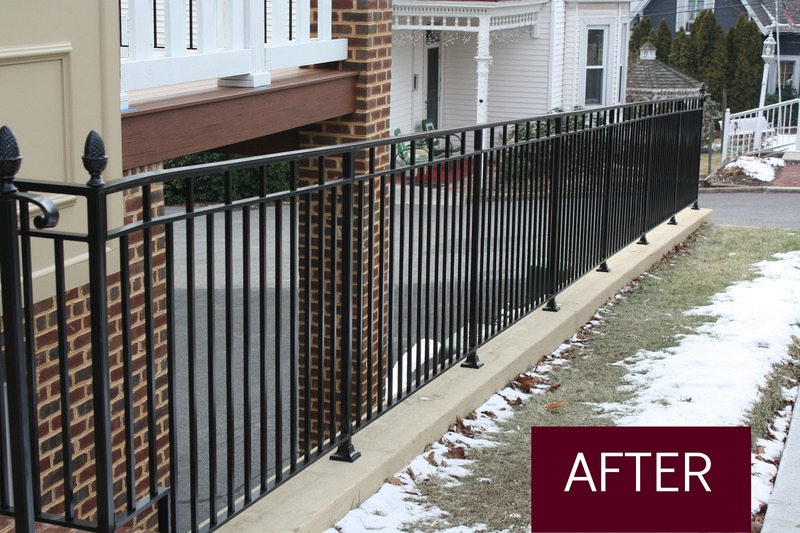 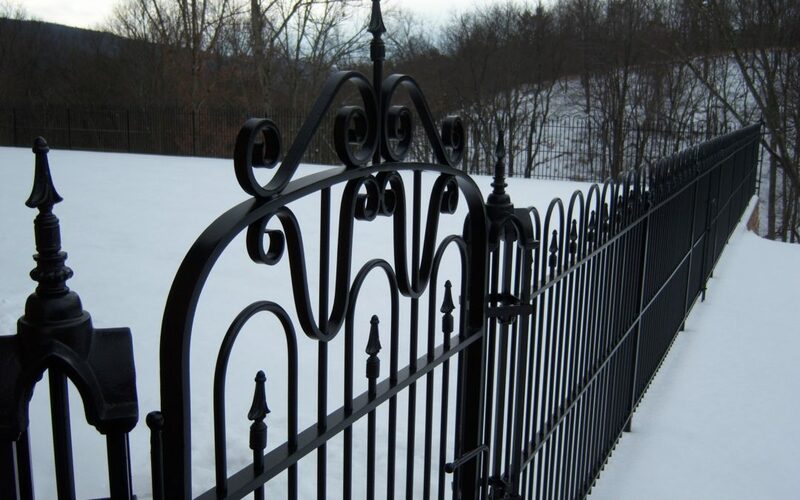 Antietam Iron Works is located in Pennsylvania and travels through out the northeast creating architectural iron work from domestic steel. 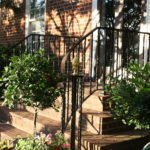 Our company works with each client to accomplish their vision. 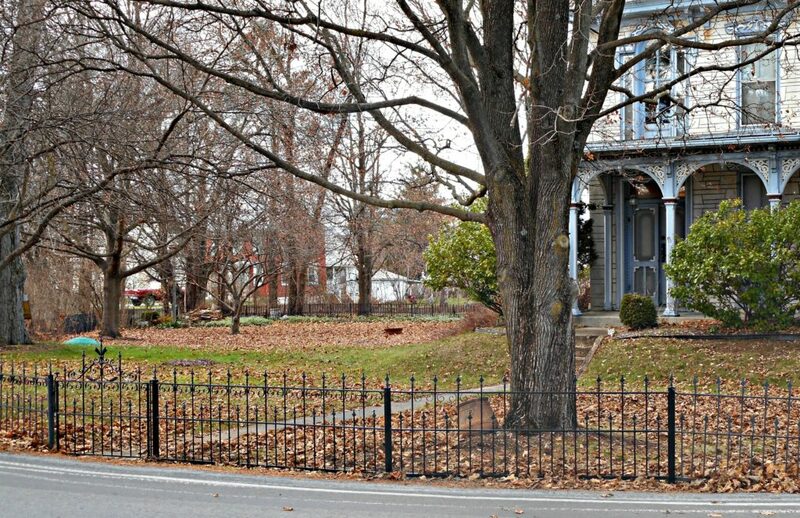 This beautiful Victorian home was accented by a charming garden gate and picket fence. Both the gate and fence were damaged by a snow plow much to the home owners distress. 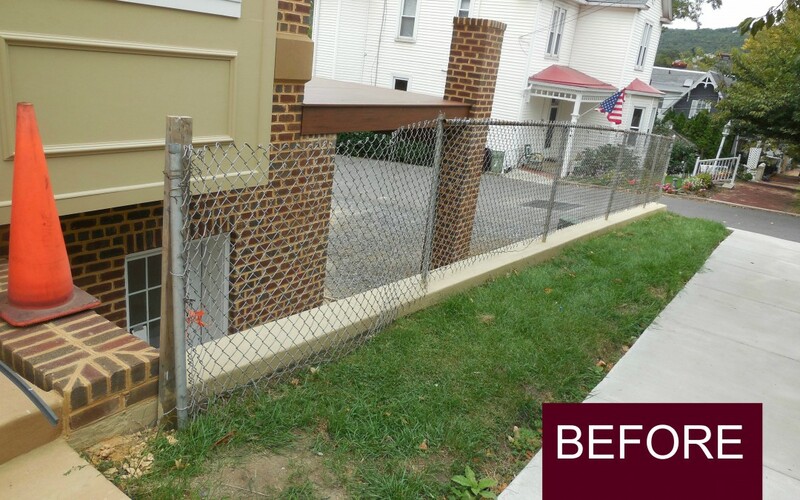 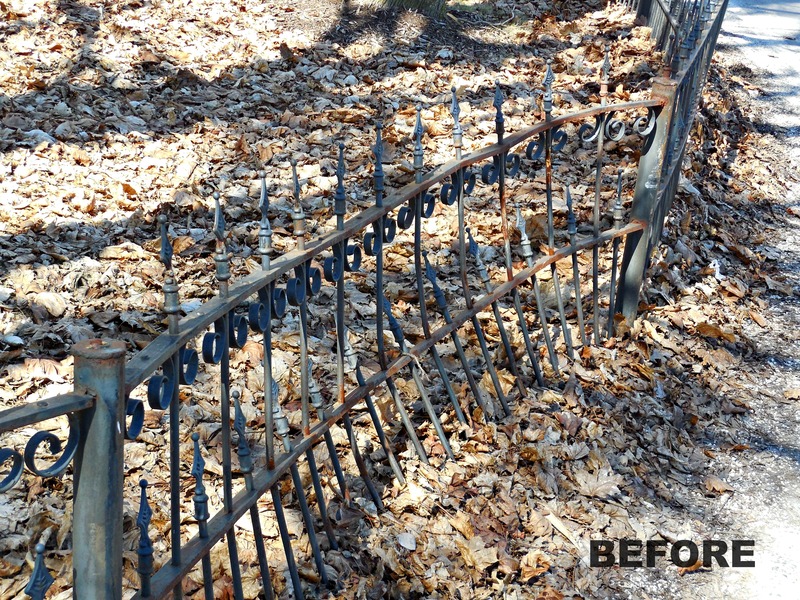 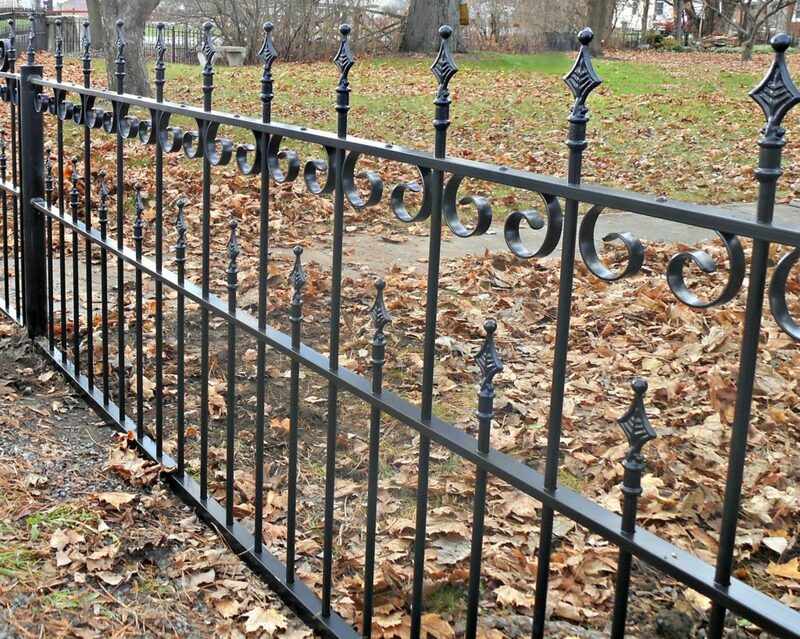 Antietam Iron Works provided estimates for the insurance company and upon receiving approval restored this fence and gate to their former glory. 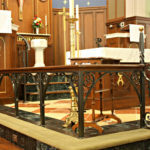 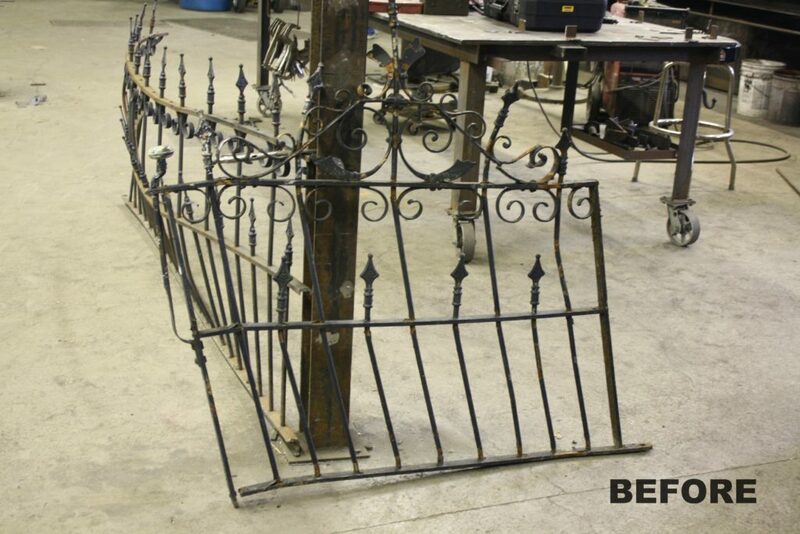 The sections that were salvageable for replicating the design were preserved. 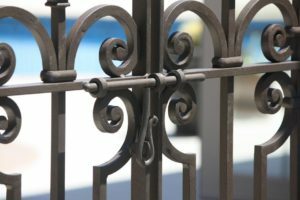 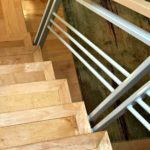 How to draw people into your home…& keep them out? 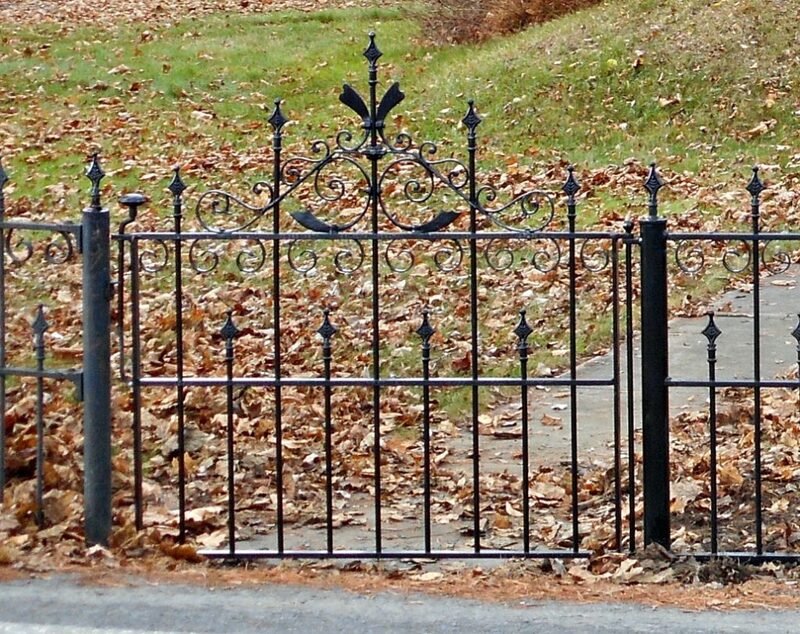 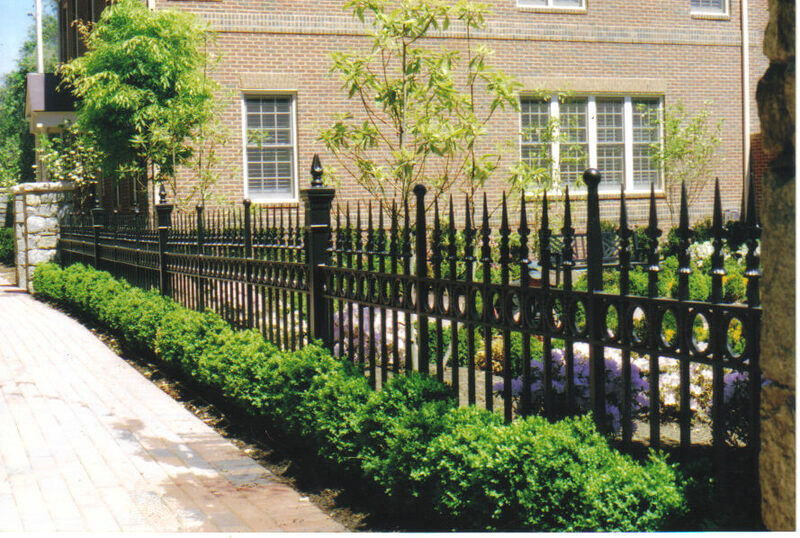 This fence was hand forged by Antietam Iron Works for a client in Greencastle, PA. The stately detail in the design complements their home. 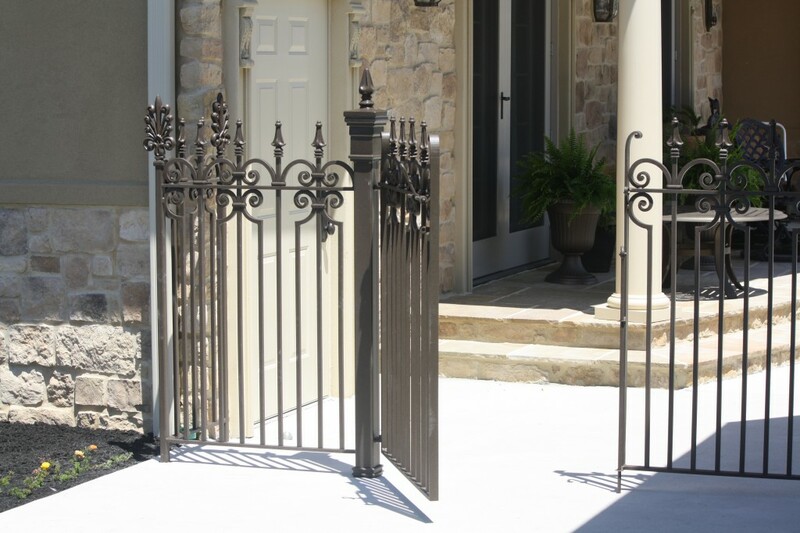 The bronze powder coated finish echos the surrounding earth tones of the property. 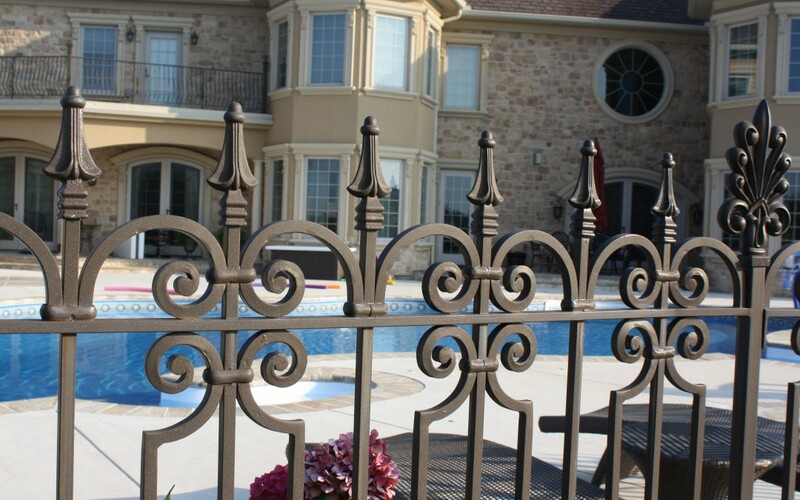 They are ready to jump in and enjoy! 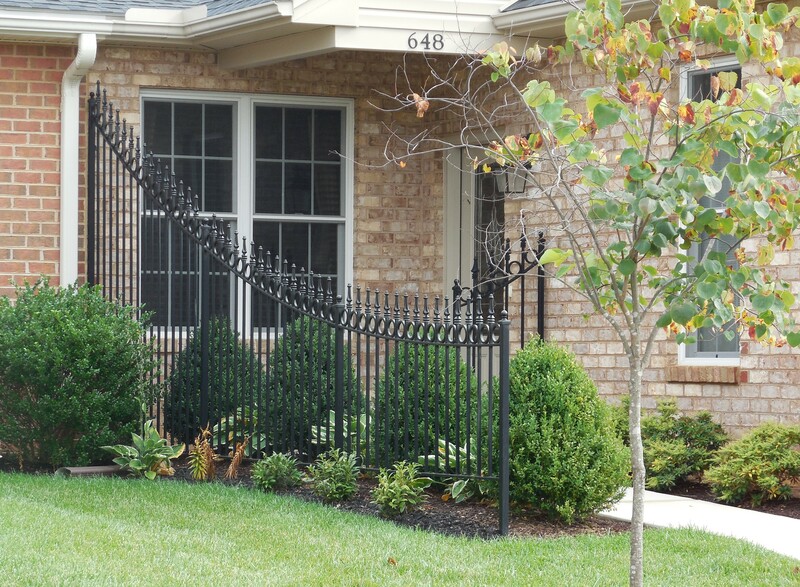 Call us with any questions you may have about your pool fence.